The second stage of the Classical Trivium model is Logic. This stage corresponds to middle school (7th & 8th grades). Children begin to think abstractly and analytically around this age and, therefore, are ready to learn how to reason well. Students begin to see the big picture and interrelations between different subjects. At Veritas, the focus now shifts to teaching the logical rules of reasoning and argument. While memorization work continues, teachers help students analyze the “why” of a topic. 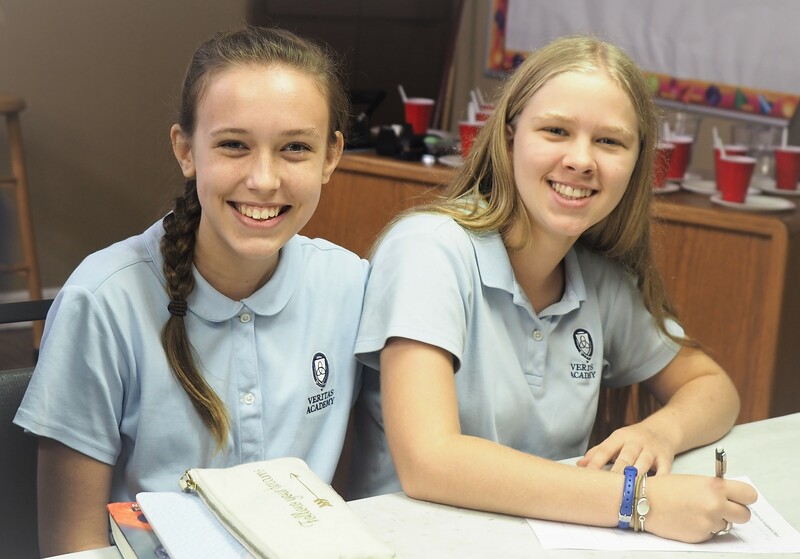 In addition to the core subjects of math, grammar, composition, theology, literature, history, and Latin, students now add formal logic and debate to their course of study. Primary source reading is also introduced. Teaching methods in the Logic School include instruction of formal logic; research projects and oral and written presentation assignments; the use of visual materials; and engaging students in role-playing and dramatic interpretations.